For those wishing to relocate from Canada to Mexico, the experience can be at once exhilarating and daunting. Fortunately, we’ve compiled a number of useful tips for relocating to Mexico to help get you started. Where you decide to live will depend on your personal preferences. There are a number of beautiful beachfront areas, as well as quaint towns and metropolitan centers. There really is something for everyone! Also consider whether you’d like to live with other expat Canadians or expats from other countries, or if you’d prefer total immersion. One great option if you’d like to be near other expats in a beautiful colonial town, is San Miguel de Allende, Guanajuato. There are a number of job opportunities in Mexico for Canadian citizens. One of the most obvious choices is as an English or French language teacher. Of course, there are often more job opportunities in larger cities than in smaller towns. However, the Internet makes working from home in a foreign country considerably easier. For those wishing to work for a company, it may be best to try to contact them before making the move south. 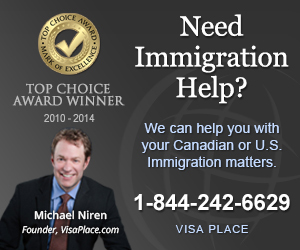 Many companies can also help get the necessary visa from immigration. If you plan to work from home or start your own business, be sure to check with immigration in Mexico regarding the necessary work permits. depending on economic considerations. Either way, there are a number of welcoming places and friendly people in Mexico that you’re sure to love! Finally, when considering a move to Mexico, be sure to brush up on your Spanish. A simple por favor or gracias can go a long way toward making the transition a smooth one! Also be sure to consider tax questions, both in Mexico and Canada to avoid any unpleasant surprises.